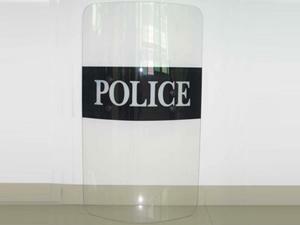 Our riot shield is made from transparent polycarbonate. As individual body protection or a combined protection system for police in riot situations or other non-ballistic risky environments, this shield offers outstanding protection with a lightweight design. 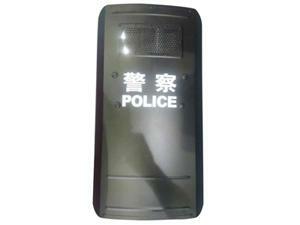 The riot shield is produced using quality material with reliable performance and is cost-effective. Various dimensions are available. Anti-Riot Shield (ARS-100535)The Polycarbonate riot shield is a light and durable protective device in riot situations. This riot shield is made of transparent Polycarbonate and only weighs 2.5 kg. The riot shield can protect users without impairing their view or movement.